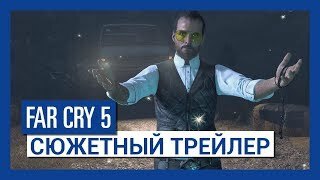 Far Cry 5 — шутер от первого лица, разработанный студией Ubisoft. 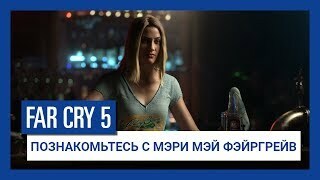 Far Cry 5 является частью серии Far Cry, а её действие разворачивается в вымышленном округе США под названием Хоуп. 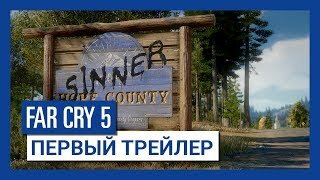 Как и в предыдущих играх серии Far Cry, главный герой Far Cry 5 может путешествовать по большому и открытому миру, используя различные транспортные средства. Кроме того, в игре представлен обширный арсенал из разнообразного огнестрельного оружия и взрывчатки. Far Cry 5 suffers from quest overload, but will give players plenty to do even after story completion. Far Cry 5 is another wide-open playground with all the necessary ingredients for causing a real ruckus: loads of enemies and allies, temperamental wildlife, and plenty of explosions. Amidst all the insanity it manages to tell a serious story with respectable characters and a powerful ending, though it’s not the most memorable in the series. The wonderful chaos of the open world and your choice of how to tackle it is occasionally stifled by bad boss fights and worse boss speeches. 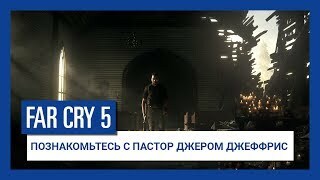 The new features, updates and overall expansion of scope in Far Cry 5 help separate it from other titles, but even though this is arguably the best entry since Far Cry 3, it might be too similar for people burnt out on the franchise. 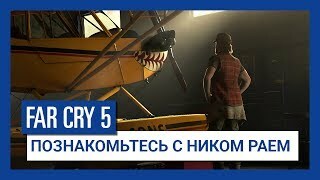 Far Cry 5 had much to live up to coming in under the shadow of previous games in the series. While it doesn’t quite reach the same level, it stays true to enough of its series staples that fans and newcomers alike should expect a good time. That clash of bucolic, frontiersman-like Americana and end-of-days gloom brought on by the cult informs every aspect of Far Cry 5, but also highlights some of its biggest shortcomings. The best thing we can say about Far Cry 5 is that it's competent, and the worst that it's far too safe. Ubisoft is clearly more interested in making an experience that appeals to everyone to satisfy the bottom line. That's a real shame, because there's the makings of a highly entertaining sandbox survival adventure here. Sadly, you won't see any of it, because there's no encouragement to experiment when running and gunning is as effective as it is. It’s a finely tuned open-world game stapled onto a story that’s insultingly bad. 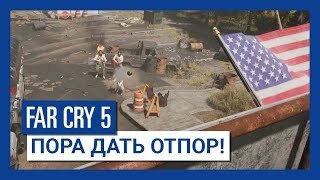 Отношение к Far Cry 5 напрямую зависит от того, что вы хотите получить от игры. Если вы ждёте внятного сюжета с неожиданным раскрытием идеи религиозного фанатизма и ладно скроенной кампании с выверенным балансом сложности, то от округа Хоуп лучше держаться подальше. С другой стороны, перед нами превосходная «песочница» с поддержкой кооператива, массой заданий, доработанным захватом аванпостов, поездками под аккомпанемент взрывов и головокружительными полётами. Хорошо настроенная механика обзавелась системой наёмников, что добавляет разнообразия сражениям. Похожесть на прошлые игры серии напоминает о себе, миссии повторяются, но это не в силах испортить отпустк в Монтане.